Jeremiah Reeves and his brothers organized the Reeves Boiler Works in Niles, Ohio in 1873. In 1882, Jeremiah and his brother Jabez became interested in the Dover Rolling Mills. The Reeves sold their interest in the family Boiler Works and moved to Dover where they take over the struggling steel mill. After an extensive remodeling of the Dover mill immediately after purchasing the mill, they officially changed the name to Reeves Iron Co. By 1896, the Reeves firm had 850 workers and was one of the largest industrial employers in the area. Over the years, Reeves acquired and sold many businesses in the area and made significant donations to the community. In 1912, the Reeves Manufacturing Company purchased the Dover Forge and Iron Co. With that purchase, four new mills and a new fabricating plant was added. In 1900, Jeremiah purchased 400 acres of land and a house owned by local farmer Valentine Wills. Reeves began renovating the house and by the time this renovation was completed the original farmhouse had expanded to include 17 rooms that included a smart wrap-around porch. The Reeves family lived in the home from 1901 through J.E. Reeves death in 1920 and his wife's in 1926. 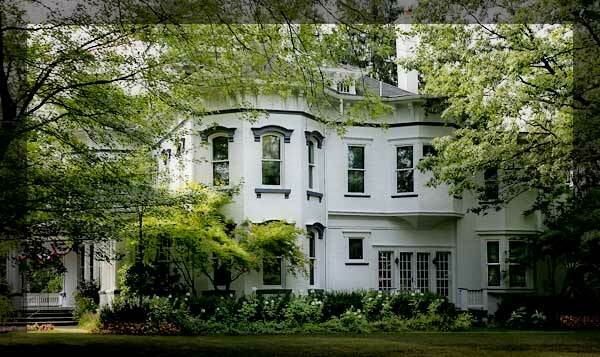 Jeremiah Reeves home in Dover has been meticulously maintained and today is called The Reeves Victorian Mansion. The estate is a wonderful historical site complete with Victorian furnishings which can be seen during public tours of the mansion. The 17-room Victorian home, which includes a third floor ballroom, has been carefully restored by the Dover Historical Society to its original turn-of -the-century splendor featuring many unique treasures and antiques acquired by Mr. and Mrs. Jeremiah E. Reeves during their lifetimes. The mansion has been carefully arranged as it would have been 100 years ago. The beautiful family furnishings can be viewed up close during guided tours of the mansion. 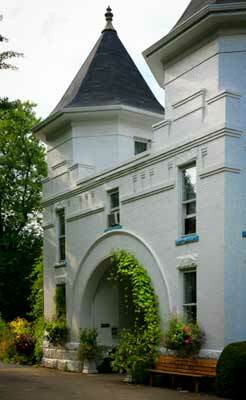 Behind the J. E. Reeves Home is the turreted Carriage House which was added to the property in 1902. Designed predominately in the Queen Anne style, the Carriage House features a Richardsonian inspired archway that welcomes visitors inside where they will see such as the Rauch and Lang electric car, the Reeves family sleigh, their handsome 1892 carriage, a newly restored doctor's buggy, and an orchestral Regina music box. Jeremiah Reeves was born in Dorsetshire, England. He later moved with his family to Wales where he learned boiler making. He emigrated to the United States just after the Civil War and a few years later, he married another former native of South Wales, Jane Rees. They would remain together for the rest of their lives. Seventy-five year old Mr. Reeves died here at the mansion in Dover in 1920. At the time of his death, Mr. Reeves estate was estimated to be close to $1.5 million. Jane died six years later.